Over the years we have held contests in which our readers were able to support their favorite food trucks in different categories. 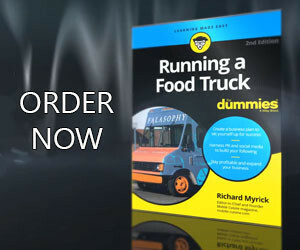 We hold a food truck contest that range from “Puniest Food Truck Name” to “Rookie Food Truck of the Year” and even a contest to determine their favorite “Local Food Truck Blog”. In time we hope to add more contests to help bring a little notoriety to food truck vendors who may only be known to their local market. Do you have a Food Truck Contest idea?